Thanks to those who have expressed concern about the Flagstaff wildfires. None of us at EMLA are in range of the fires or in any danger, though we are worried about our community in general and all those being affected, and are sending many thanks to our hard-working fire fighters. Things are gearing up for the September debut of Cate Tiernan's Immortal Beloved, a wonderfully compulsive read about a timeless struggle and an inescapable romance. I will never forget my own first read of this story; I'd loaded the manuscript onto my cell phone for a trip—I was in New York for meetings and couldn't wait for the next time I had to get on the subway so I could read another chapter! Get a sneak peek at the opening chapters and see the book trailer here! 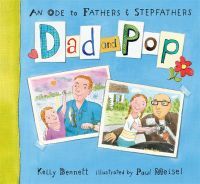 Having two dad-related books hit the market within a couple of month's of Father's Day is a remarkable thing, but Kelly Bennett's done it—and people are noticing. The latest? Nothing less than USA Today, which includes both Dad and Pop and Your Daddy Was Just Like You in its Father's Day book roundup, which reaches over two million readers! We had some lovely news at BookExpo time that almost got lost in the hullaballoo--but it's the sort of news that should never get lost! We learned that R. L. LaFevers's The Wyverns' Treasure: Nathaniel Fludd, Beastologist, Book 3 will join its two prequels as a Junior Library Guild Selection. And Audrey Vernick's picture book She Loved Baseball: The Effa Manley Story was also selected by the JLG! Both books will be on bookstore shelves in October. Congrats to Robin and Audrey! We are so pleased each year when an EMLA book or two makes the kids' recommended reading lists at Oprah.com! 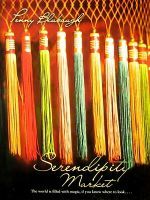 The 2010 list went up last week, and it includes Penny Blubaugh's Serendipity Market as one of only nine titles on the 12 and up list, and Liz Garton Scanlon's All the World as the first picture book (of 16) on the list for ages 3-5. We're so pleased for you, Penny and Liz! 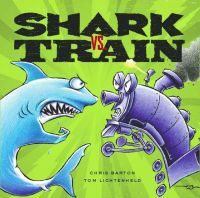 Debuting at #8 on the June 20 New York Times bestseller list, Shark Vs. Train by Chris Barton! Huge congratulations to three EMLA authors whose new and upcoming releases are on the new nomination list for Best Fiction for Young Adults! The list is compiled by the YALSA division of the American Library Association (formerly known as Best Books for Young Adults), and nominations will continue to be added until November. The nominated EMLA titles are Elizabeth C. Bunce's StarCrossed, which will release in October with Arthur A. Levine Books/Scholastic (and which just got a brand-new cover, shown here); C. J. Omololu's Dirty Little Secrets (Walker & Co., February); and Heather Tomlinson's Toads and Diamonds (Holt, March). All the nominated titles are currently being discussed by the Best Fiction for Young Adults Committee, as they will be in open committee meetings at the upcoming annual conference of the American Library Association—including one afternoon session in which teen readers share their unvarnished feelings about nominated books to the committee (always a favorite session at the convention!). The final selected titles will be announced shortly after the Midwinter meeting of the ALA next January. I am so happy to announce a sale for one of the newest members of the EMLA family. Mary Lyn Ray is the author of an amazing collection of lyrical picture books illustrated by the likes of Barry Root, Barbara Cooney, Lauren Stringer, Jeanette Winter, and Douglas Ray Florian. Add Marla Frazee to the list! Mary Lynn's picture book with the working title The Star Book, which editor Allyn Johnston calls "a Ruth Krauss-ian exploration of all things star," will be illustrated by the two-time Caldecott Honor medalist for Beach Lane Books/Simon & Schuster for publication in fall 2011. Our colleagues at Rights People have been busy at work and boy, do they have a lot to show for it! There is continued good news for Cate Tiernan, whose Immortal Beloved trilogy (which debuts in the U.S. this fall with Little Brown) recently went to auction for Bulgarian rights, going to Kragozor, and found a home in Poland with Amber, bringing the total number of territories publishing the books around the world to fifteen! The interest in Immortal Beloved has fueled foreign sales for previous Cate Tiernan series Sweep and Balefire; Rights People, on behalf of Alloy (which packaged Sweep for Penguin), and subagents for Penguin (publisher of Balefire) have been placing those series in several territories as well. But the good news isn't limited to Cate Tiernan. The superstars at Rights People have found foreign homes for three debut novels: Jennifer Nielsen's Elliot and the Goblin War (to be published in the U.S. this fall by Sourcebooks) will publish in Turkey with Artemis; Trent Reedy's Words in the Dust (formerly titled Inshallah, to be published in January 2011 with Arthur A. Levine Books/Scholastic) by Passion House; and Susan Lynn Meyer's Black Radishes will publish in Germany with Cecilie Dressler. It is especially satisfying that Words in the Dust, which is set in contemporary Afghanistan, will publish in an Islamic country, and that Black Radishes, which focuses on a Jewish family's experience in France in World War II, will be published in Germany. Congratulations to all, and thanks to Rights People!